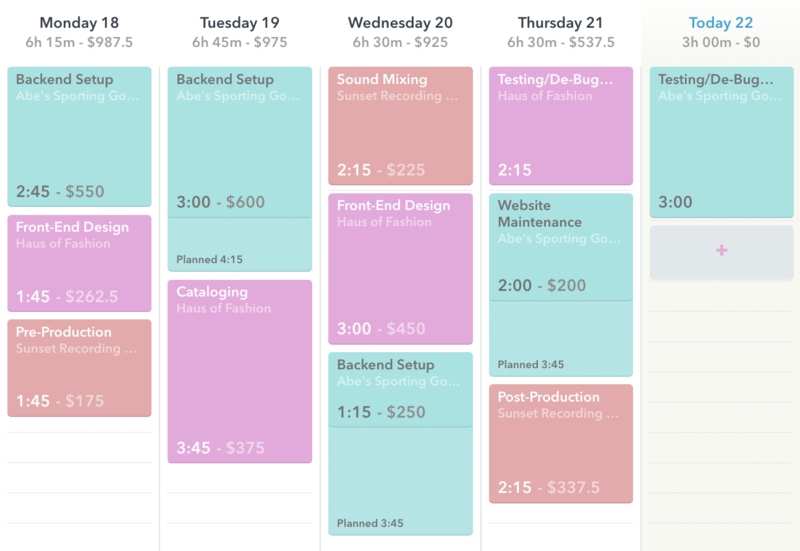 Project colors in Timely mean more than just turning your Week View calendar into a dazzling technicolored rainbow. 🌈 Using color helps you create a visual story of your work, so you can quickly distinguish projects by client, activity type and even billable or non-billable status. From the New or Edit Project page, click the color selection drop-down. Assigning a monochromatic color scheme to all projects under a specific client helps you easily identify a project grouping. Just click a color option and choose from the gradient scale at the bottom. A color coding scheme can also be applied to quickly differentiate different work activities. For example, you can assign various shades of red for all activities associated with design, shades of blue for activities associated to ideation and development, and so on. Timely offers a wide selection of default colors. If you want to use a specific color, just enter a HEX color code in the manual entry field – a great choice for branding! Can I assign a color to a client? 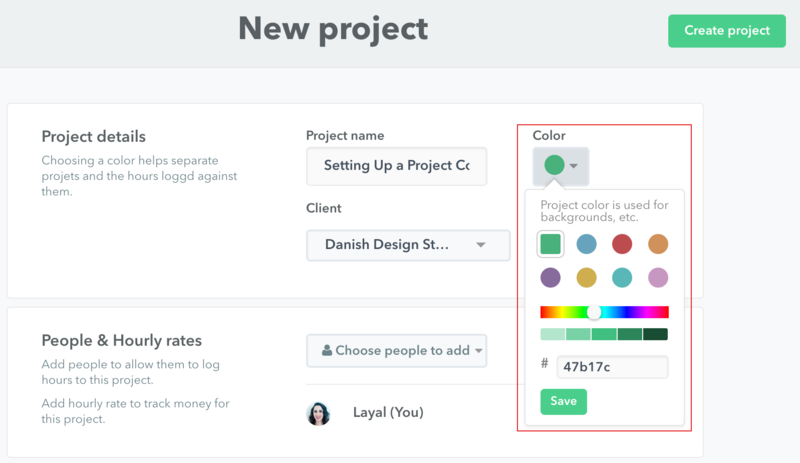 Colors can only be assigned to projects, but you can assign the same color to all the projects for a specific client to easily distinguish who the work is for. That way, it's super easy to see which client your time entries belong to!